This post was sponsored my Minted. 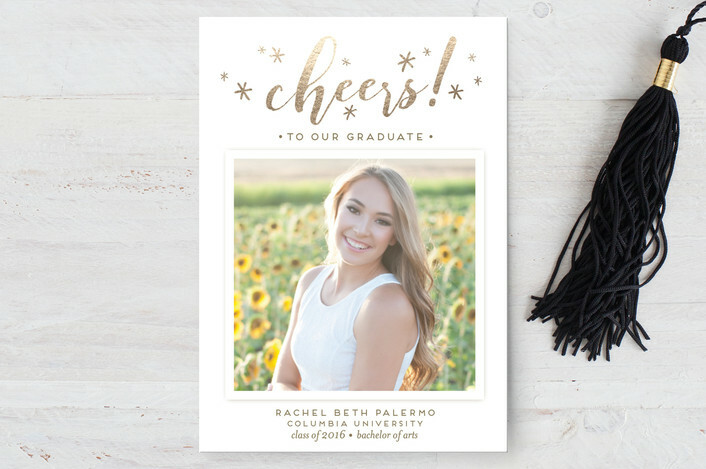 Thanks to the lovely individuals over at Minted for sponsoring this post about graduation for my readers. Graduation season is quickly approaching. Even though it’s just March I know that all graduating seniors probably have a countdown already starting on their phone, computer, and anywhere else with a clock. Most graduating seniors could probably tell me when they’d be graduating down to the second if asked (just kidding, but really…) I have attended quite a few graduations over the last few years and I have graduated both high school and college. In August I will be graduating with my Master’s in Sociology. I cannot wait to provide my tips on how to have a great graduation season and make it through the season (realteively) unscathed. So, first and foremost, you may be be asking, what is Minted? 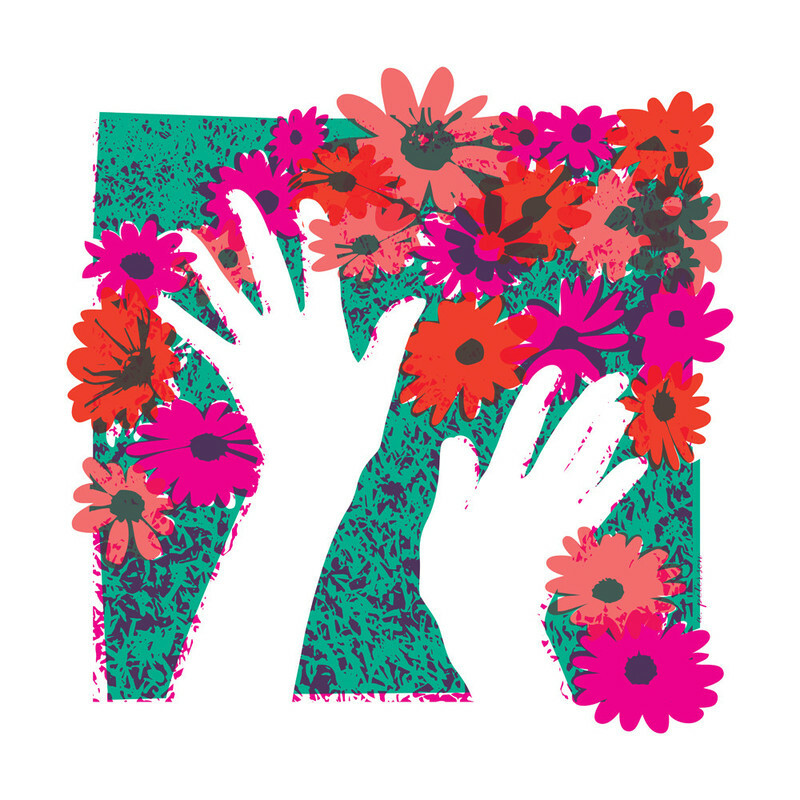 Well, my friends, Minted is a wonderful service that allows you to support local artists by browsing a site filled with designs from artists all over the world. Minted has a vareity of products on their website and they are all so beautiful and diverse. 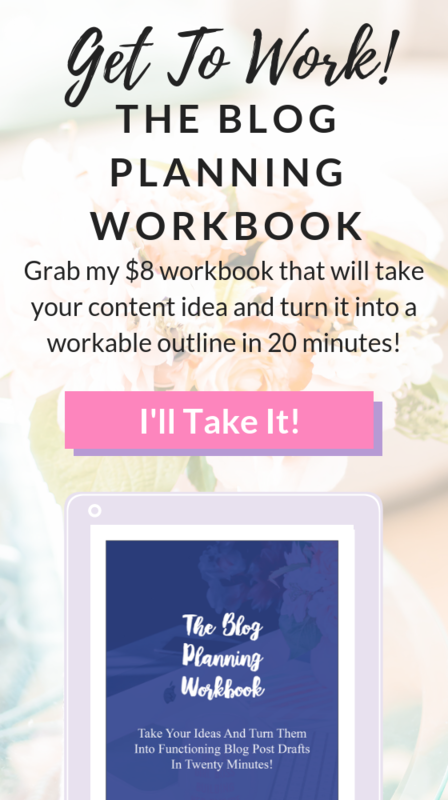 The Minted artists really know what they are doing and so does the Minted team when it comes to choosing the art that is showcased on their site. These artists make everything an art form, even the simplest invitation. You are bound to find a beautiful personalized gift on their website. There are many tasks that need to get done before you slip into your cap and gown and walk across the stage. These are my tips for the things you should do before your graduation ceremony. If you haven’t had spring break yet you are going to have it soon. The after Spring Break excitement of getting ready to be done with college is real. You cannot let this interfere with your school work, especially if you are taking any mandatory college classes this semester, which you may be doing. If you are not graduating this year, try to take your last mandatory classes in the fall semester of your senior year. The spring semester is not nearly as productive because graduation is so close you can almost taste it. It is so important to take your school work seriously so that you can end your college years strong. Plus, nothing is set in stone until you get your diploma. Your graduation isn’t set in stone, your graduate school attendance isn’t set in stone, everything is in the air still. I say this, not to scare you, but to make sure you know the gravity of the situation. 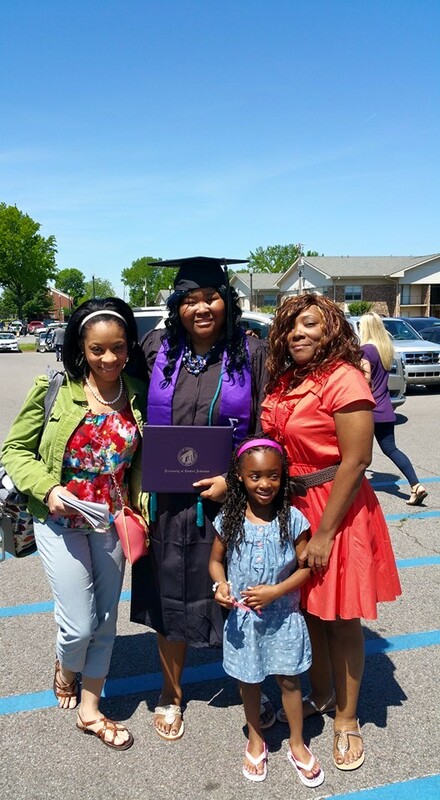 Inviting family and friends to your college graduation is so important, especially if you are one of the first ones in your family to graduate college. People want to see you succeed. 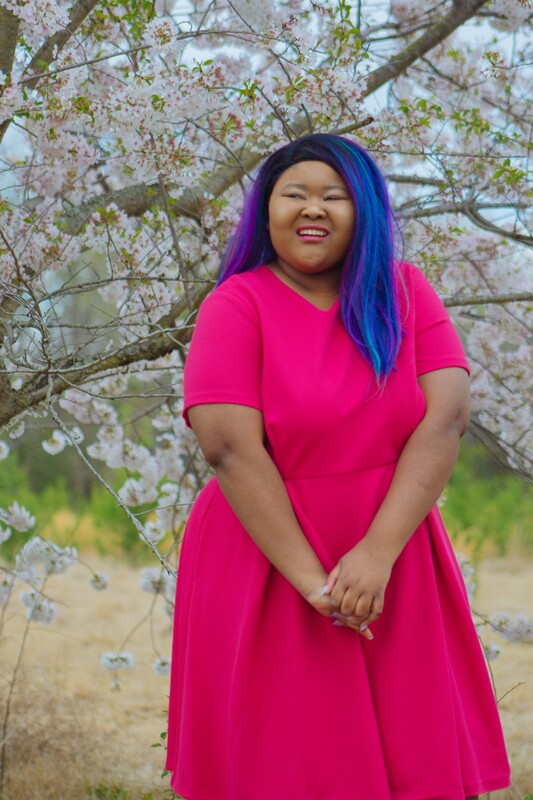 You don’t necessarily have to take graduation photos to get your invitations done, but getting glammed up for a graduation shoot is the perfect way to get excited about graduation and the next steps in your life. Plus, if the photographs are great you could potentially use them for headshots as you are looking for a career. 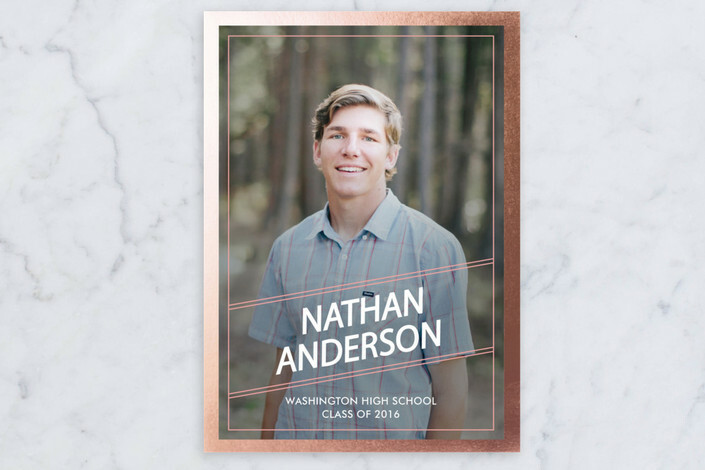 Minted has all sorts of beautiful designs for graduation announcements. Some of them even have real foil in them. Here are just a few of my favorite announcements so you can get a great picture of what these announcements look like. 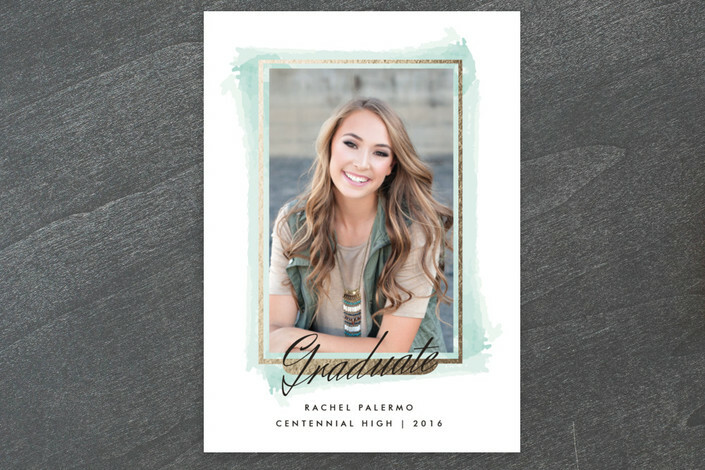 Minted has a ton more graduation invitations to browse so be sure to check them out. Have a meeting with your school’s career services office: This is the last time you will have such complete access to a service like career services. Make sure you take sometime to appreciate the service while you have access to it and use it. Make and/or perfect your résumé: If you have yet to make a résumé, get on it right now. There are so many resources out there and this is also the perfect time to meet with your career services office and let them go over your results. If you already have one made, perfect it. 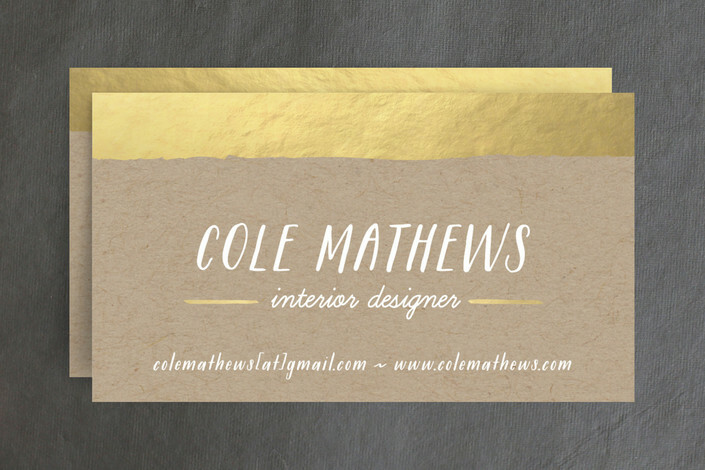 I know that getting business cards seems so strange, but Minted has so many amazing business card designs that you can’t go wrong by at leasting checking out their archive of awesome cards! Do you need some extra help thinking about your career path? Check out my post on How To Be A LinkedIn Rockstar! For many college students this is the first time they have ever been out and about on their own. You want your living arrangements to feel home-y and unique to you. 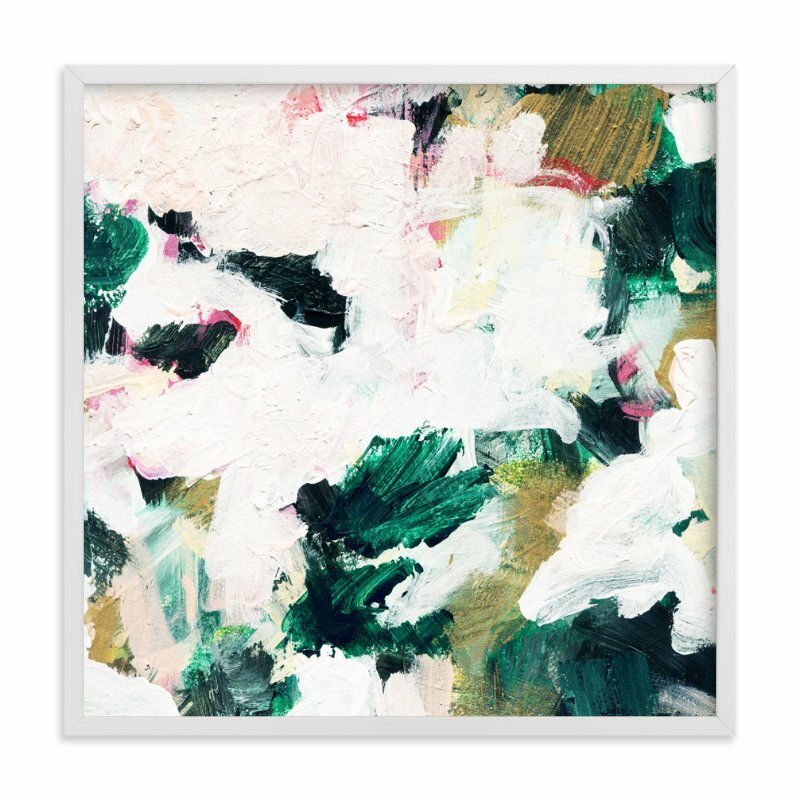 Minted has beautiful home decor products that you should totally put on your wishlist so that you can decorate your new apartment or house after you graduate. They are also perfect for decorating your desk at your new job. 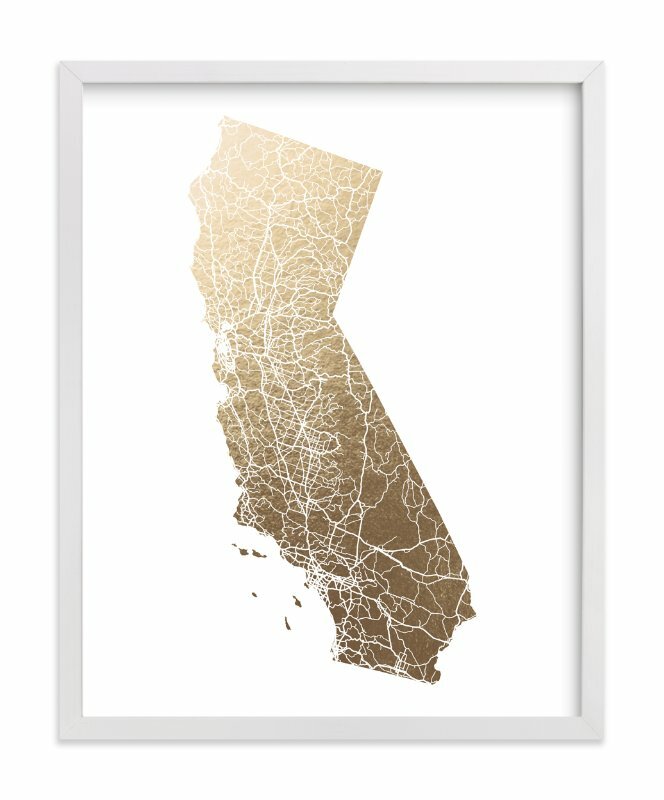 I love the wall art that Minted has on their website because it allows me to personalize my space no matter if I am creating an office or a home. It’s the perfect gift to ask for for any graduating senior. I CANNOT recommend this enough. Graduation is stressful enough without worrying that your cap will fly off all day, and sometimes it does actually fall off. Mine did. I held up the line after walking off stage because my cap fell off and I had to put it back on so I could take my official graduation picture. Those picture proofs still looked pretty flawless though and I was about to say goodbye to college anyhow so what is embarrassment? Seriously, though, secure your cap so you spend less time worrying about your cap and more time enjoying the ceremony. I was not in my college town the day of graduation. I had actually gone to stay the night with my sister because I wanted to get my hair done the day before graduation. We were running a smidge late because my sister lived about 30 minutes from my campus on a good day, and of course traffic was making the situation a million times worse. So if you can, get to graduation as soon as you can. Yes, it’s no fun to stand in line forever and wait to be able to walk in to the place where the ceremony is being held, but it’s also not fun to have to rush through the process of getting prepped and ready to graduate. Graduation is confusing. There is so much that goes on behind the scenes to make sure that people are in the correct order and sitting with their perspective colleges and majors. So get there early so you can find your place and get excited about the experience of graduation. I know it will be SO EASY to doze off during graduation or think about other people and other things especially during the time where they are calling each and every name. Things can change in a heartbeat during graduation, though, so you want to make sure that you are adequately able to understand what is happening so you can react when necessary. 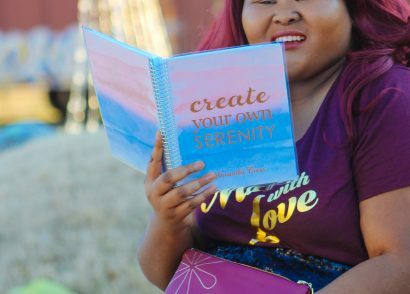 Here are my tips for having the best time after the graduation ceremony is over, because in my opinion, that is just as important. Take some time to enjoy your family during this beautiful occasion. Your family has come together to enjoy your day so don’t forget to be thankful and gracious as you spend time with relatives close and far. They came to celebrate your brains after all. I know, crazy, but get some rest. You will have so much to tackle in the coming months from finding a job if you haven’t already to coming up with living arrangements. Don’t be afraid to get a nap or three in during the days following the ceremony. Your family and friends have probably given you some amazing things and their company during this time in your life. Don’t be afraid to show them some love in return. 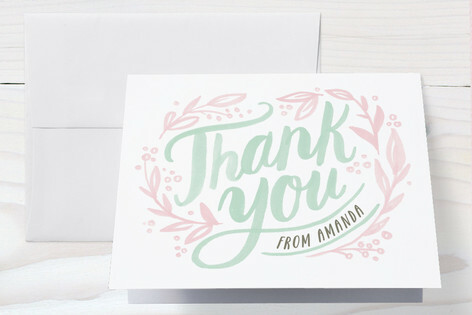 You can quickly and easily do this by writing a handwritten thank you note to people in your life. Minted has you covered on this one. 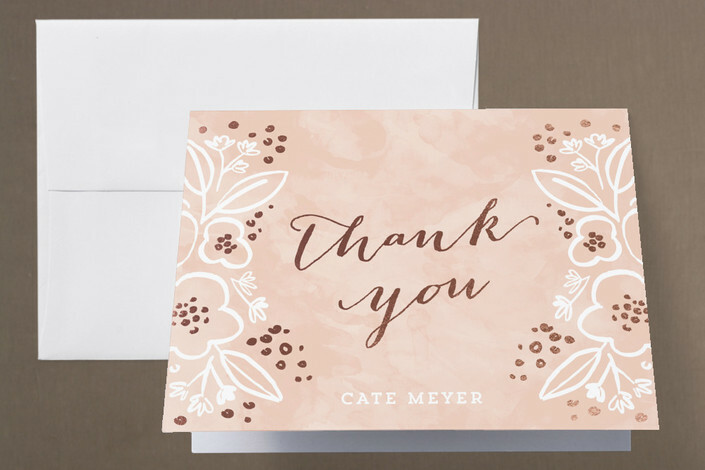 Sending out a thank you card is a must for people who have given you fun gifts, sent you money, or even attended your graduation. 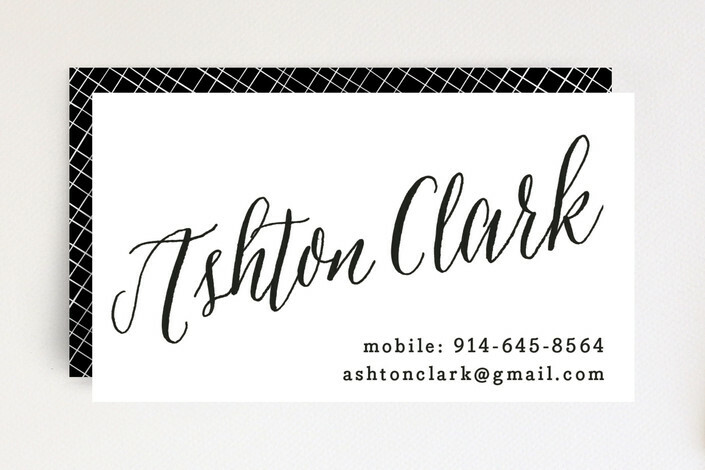 If you can do so I would highly encourage getting some cute note cards with your name on it for a more personalized touch instead of just generic thank you cards. 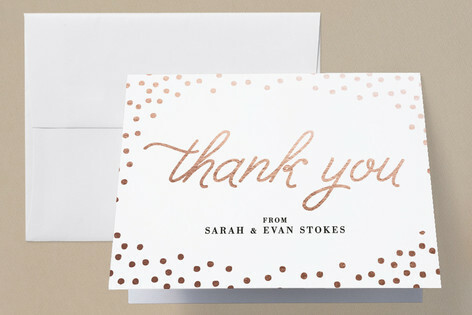 Minted has tons of thank you cards just for grads and tons of general thank you cards too. In my opinion it doesn’t matter which kind of note cards you send, as long as you are thankful. The graduation process can be hard, but it doesn’t have to be. 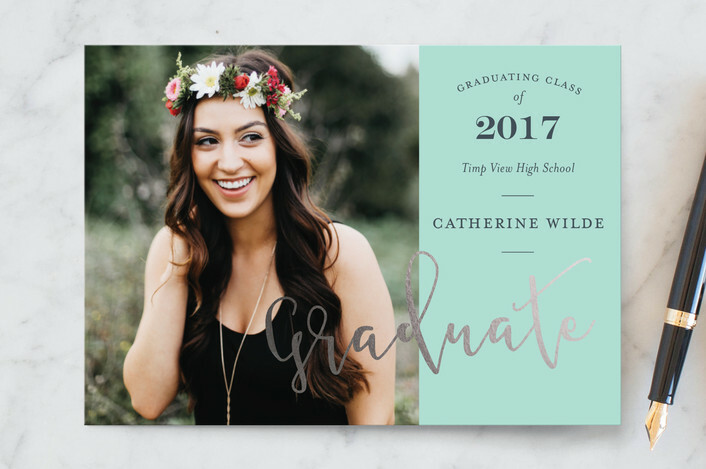 Minted can really be a great tool for you as you begin the process of picking out graduation invitations and becoming more familiar with everything from home decor to business cards. 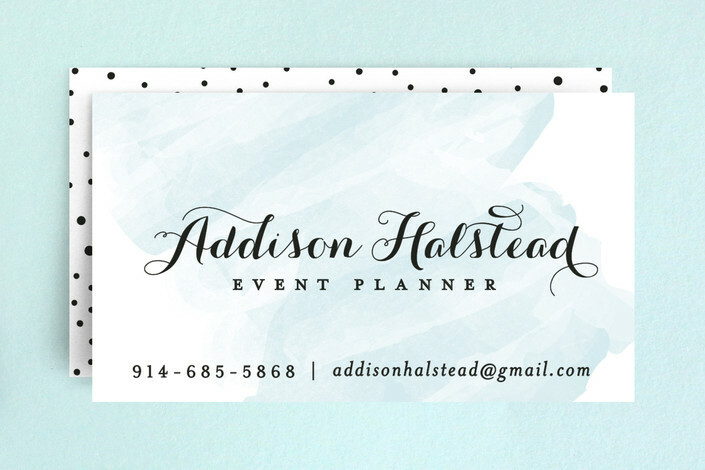 Minted really has your back. 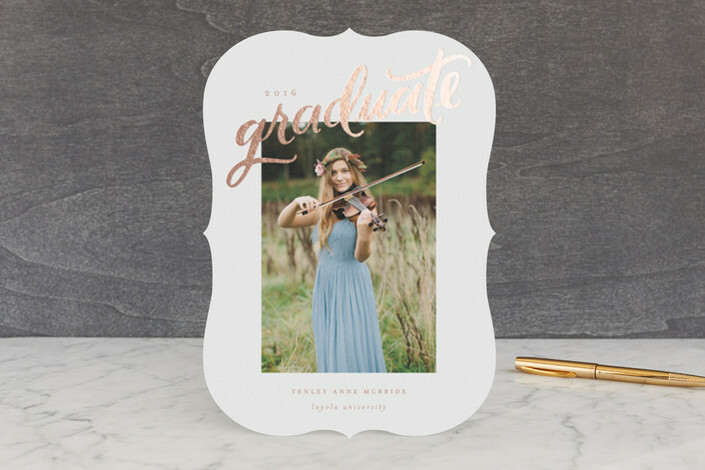 Check back on Monday, April 3rd as I will be sharing some of my favorite Minted products for graduation seniors so that you can put these items on your list. I got quite a haul from Minted that I can’t wait to share with you.